Demo alpha for Mac. STORY After an awful life, John's soul is ready to say goodbye to this cruel world. In that moment, a demon called Ocaso, appears in front of him. The mysterious creature offers John the opportunity of being young again, having the life he's always dreamed of. In exchange of his soul, of course. Will John accept his offer? And, if so, what will be the consequences? 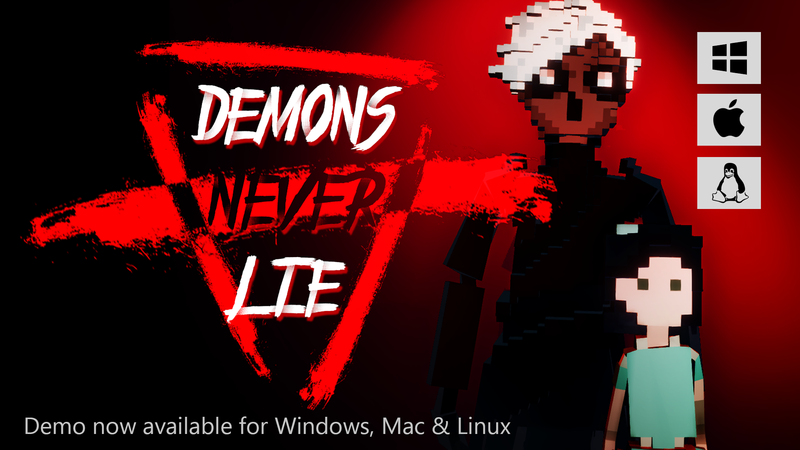 Demons Never Lie demo for Mac has not been tagged yet.